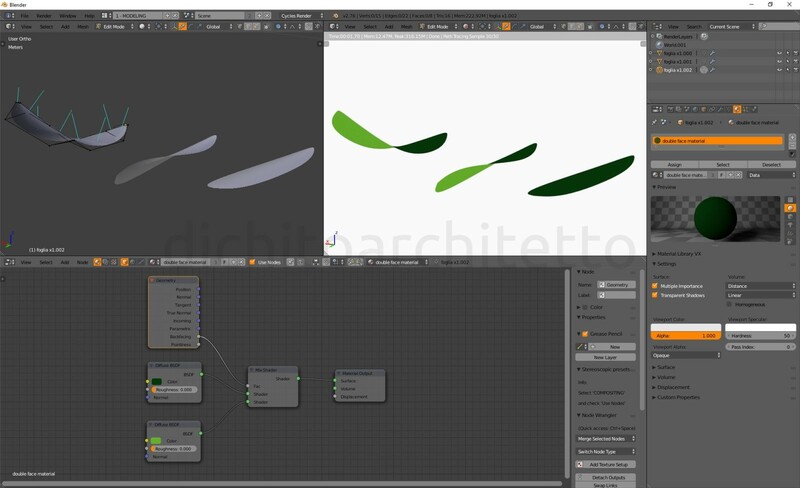 Today I want to share a little trick to create plane objects with double face in Blender. An example? A leaf: with this method you can apply a first material to the leaf upper face and a second material, different from the other one, to the leaf lower face. Node base configuration is super easy: two “diffuse” nodes are mixed together with a “mix shader” node; “backfacing” output (“geometry” node) is the mix factor. That’s all! Of course you can customize materials to suit your needs; you can also apply the same trick to “displacement” channel. 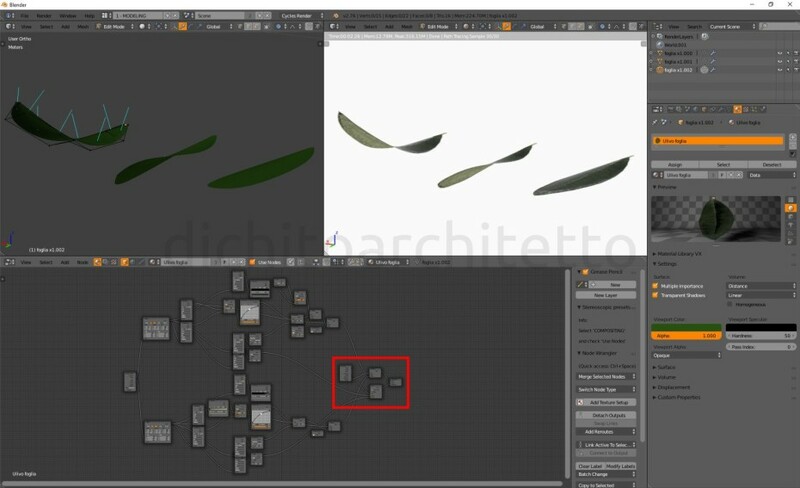 You can see below an olive leaf created by me and used in one of my last renderings. Filed under 3d Graphics, News, Tutorial. Tagged 2015, 3d graphics, Blender, Tutorial.